Governor Jerry Brown and 16 other governors say they'll pull together under a new pact to speed up the transition to clean energy and transportation in their states. Called a "work in process," the Governors' Accord for a New Energy Future, lacks specific, measurable targets. The agreement uses broad language, saying the states will "embrace" and "encourage" clean energy options. 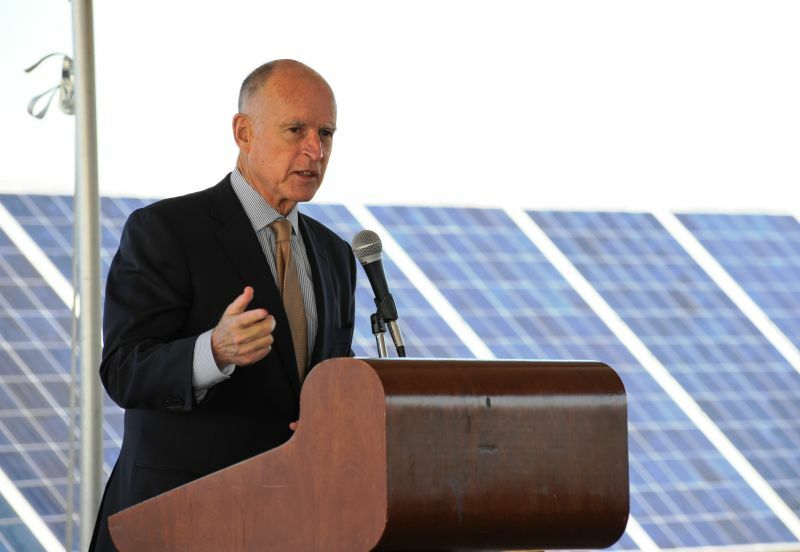 Brown pointed to three of the cooperative's broad goals that he says will benefit from interstate cooperation: a "highly sophisticated" regional energy grid, combined state purchasing power for zero-emission vehicles and joint lobbying of the federal government for research and development money aimed at energy storage, clean fuels and the grid. The participating states did not necessarily commit to signing on to Brown's Under 2 MOU, under which states and regions that have set specific targets to reduce greenhouse gas emissions with California. The memorandum is currently signed or "endorsed" by 127 jurisdictions representing 27 nations. Nor does the agreement specifically mention climate change. According to Brown, the governors chose to bypass the partisan controversy over the issue. The agreement includes all of California's neighboring states except Arizona. All the others are on the East Coast, except for Minnesota and Hawaii. Under Brown, California has developed some of the most ambitious clean energy goals in the country, aiming to generate half of its energy from renewable sources by 2030. 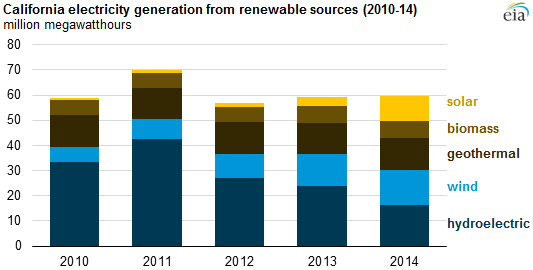 In 2014, California’s utility-scale solar production was more than three times the output of Arizona -- the second-ranking state -- and more than all other states combined. The states that are signed on say they expect to meet "shortly" to discuss specific actions.